Eindhoven University of Technology (TU/e) is a research-driven, design-oriented university of technology with a strong international focus. The university was founded in 1956, and has around 7,200 students and 3,000 staff. 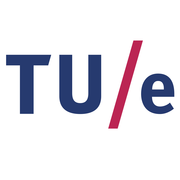 TU/e has defined strategic areas focusing on the societal challenges in Energy, Health and Smart Mobility. The Brainport Eindhoven region is one of world’s smartest; it won the title Intelligent Community of the Year 2011.